We have chosen PayPal to process your payment. PayPal now accepts credit cards, even if you do not have a PayPal account. You must select to pay through PayPal if you would like to use a credit card -- we do not process credit card orders any other way. You can use PayPal without creating a PayPal account, just do not "log-in" when presented with the PayPal screen. (You may also pay with check or money order, fill in the order information in the shopping cart, and then print 2 copies of your order, send us one and keep the other. The Shopping Cart will record your order, so you will receive a valid order number and have a place in the queque.) (If you have any difficulties, please call, 707-442-5459.) Click THIS LINK to enter the shopping cart. Return Policy: Items purchased through our online store that have been opened may be returned within 10 days, for a store credit only, if returned in new condition. Customer is responsible for 100% of shipping costs unless the item is defective in which case we will refund shipping costs. Click THIS LINK to enter the shopping cart. 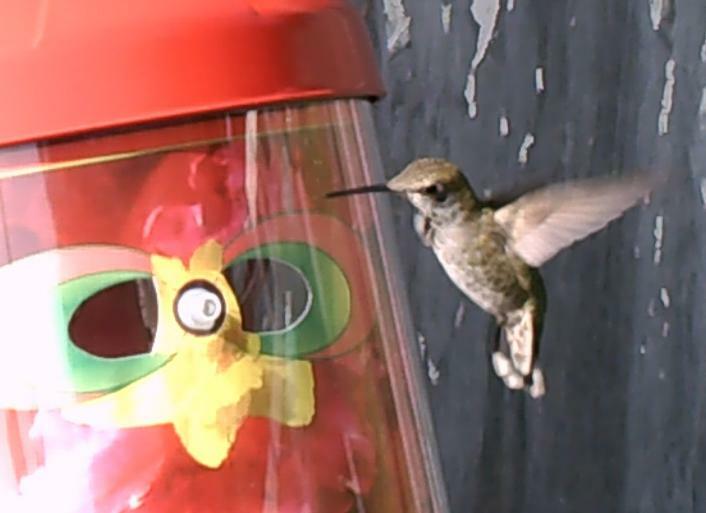 Did you see the Wearable Hummingbird Feeder? The Wearable Hummingbird Feeder is a modified Professional Grade Full Face Shield with a built in miniaturized hummingbird feeding tube built into the inside. 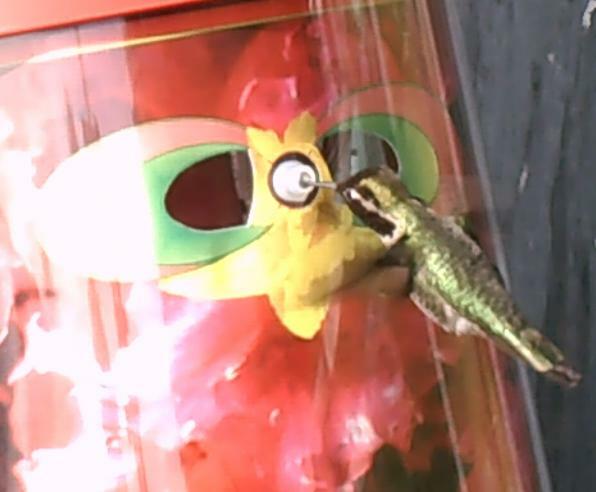 Hummingbirds feed right in front of your eyes! :--<:™ Wearable Hummingbird Feeder -- Every Hummingbird Lover Will Want One!